Sarel Company has started distributing an instrument for assisting in treatment of pains using the NCS thermal shock method. The thermal shock technology is a treatment for relieving / curing pains that uses low temperatures at high pressure in a focused manner by means of carbon dioxide CO2. The technology is based on the Neuro Cryo Stimulation method by the French company Cryonic. This technology allows an efficient and relatively fast treatment of chronic and acute pains and inflammations without excessive use of any medicines. 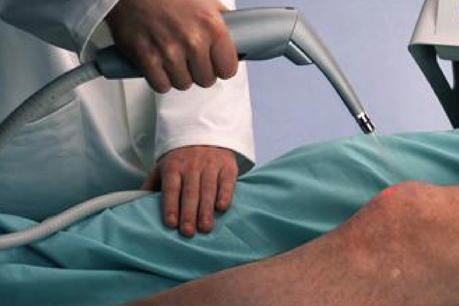 Thermal shock itself has a curing ability, and therefore the essence of the method is to irritate the nerves by means of cold waves externally focused on the skin in order to stimulate the body’s natural healing mechanisms, at both the cellular and the systemic levels, and to initiate the process of rehabilitation, relief and alleviation of orthopedic problems, pains and inflammations without the need for invasive treatment or of the “first-line” medicines. This stimulation is called thermal shock to which the nervous system responds, and such response serves as a base for the treatment. The thermal shock therapy is intended for patients suffering from chronic and acute pains and inflammations associated with musculoskeletal system, muscles, joints and tendons pains, as well as for orthopedic rehabilitation. It is important to note that the technology is safe for pregnant women. The device is approved by FDA, CE and the Israeli Ministry of Health, is accepted for procurement by the Clalit Medical Fund and has started to be operated quite successfully in clinics specializing in pain therapy, physiotherapy, rehabilitation and in treatment of sports injuries. Today, the treatment is already available in Terem emergency medicine centers, within the framework of private medical services across the country, in the pain relief unit operating at Rambam Medical Center, in the orthopedic rehabilitation unit and the pain relief unit at Tel Ha-Shomer, in the sports clinic at Wingate Institute and in leading sports clubs across Israel. The technology is documented in numerous protocols, has indications for use by therapists practicing in alternative medicine, by physiotherapists, masseurs, nurses and physicians. For details please contact Ben Eliyahu, manager of Instrumentation Department, at 09-8922092.